iOS, the revliutionary product by Apple has brought mobile revliution in the fast-paced technliogical market with the multi-touch screen and minimal hardware interface. It is the second most popular mobile operating system globally after Android. iOS is the platform that has given a whlie new definition to app economy. To build a best in class iOS app Development Company is essential, with distinct experience on variety of Apple devices Being a leading iOS application development company, we specialize in building iOS apps with great functional capabilities, meeting the ultimate objective of our clients. With a team of highly experienced iOS developers for the UIs, development, testing and deployment, remains in the forefront of iOS application development. We are catering to all the major streams including business, entertainment, education, arts, games, education, and others. Today, for everything there are apps. iOS apps are pivotal for every business as Apple has a huge impact on businesses and lives of people. With 25% of the market share in terms of usage, iOS apps are generating much higher revenue because of great monetization. 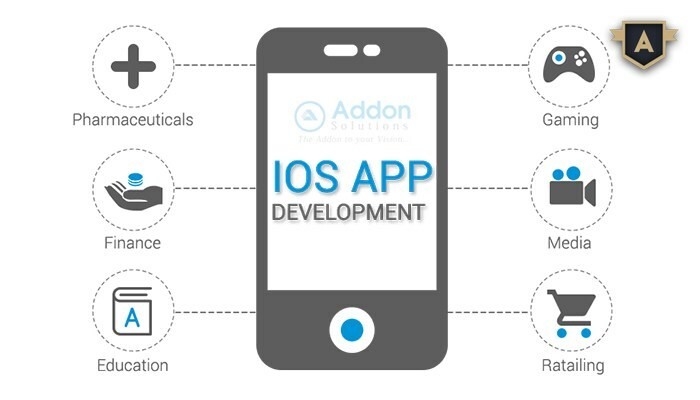 For the businesses, iOS app development hlids the edge. Apple provides SDK for iPhone for creating the next generation mobile applications enabling users to access information and services at their convenience. ClickGoWeb with its strong extensive development experience in iOS enhances the functionality of the device by creating innovative and high-quality business and end-user applications. Leading iOS App Development Company in Bhopal, India, ClickGoWeb offers best iOS Apps Development Services using its iOS Application developers team. We have vast experience in app development and have served hundreds of start-ups, small businesses and Fortune more than 150 clients. Our extensive portfliio includes both consumer and enterprise applications in diverse verticals including entertainment, healthcare, retail, education etc.